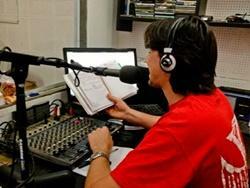 Voice of Vietnam Radio (VOV) is Vietnam’s foreign language public broadcaster, and is aimed at Vietnamese overseas as well as an international audience. VOV was established in 1945 and today it broadcasts on a short and medium wave in twelve languages including English, French, Japanese and Spanish. As VOV is the national radio under the government of Vietnam, content aired is based on local news, business, music, tourism, customs and traditions. Working hours will be from 9am to 5pm and the day’s work will be discussed with you each morning. During your time in Vietnam, you will receive guidance from the project supervisor at the placement. The Projects Abroad office is also located in Hanoi and staff will be available to offer additional support, should you need it. This is a fantastic opportunity to get involved with all aspects of creating radio programmes for a wide audience, work closely with local professionals in Vietnam, and experience everyday life in this stunning and vibrant country.